Residents in Alaska who seek information on alcohol addiction and treatment services can get this information by dialing any of these alcohol addiction hotlines. Delphi Health Group offers information and counseling on alcohol and drug abuse, as well as addiction rehabilitation and treatment services in Alaska. Calls can be made any time of the day, 365 days in a year. Calls to the alcoholism hotline are toll-free and 100% confidential. Services offered by Delphi Health Group are covered under insurance. Call the alcohol abuse hotline (888)-459-5511 to speak to a representative. Dial 2-11 to get information on alcohol detox programs and effective counseling on alcohol addiction and detoxification. The alcohol helpline connects people with alcohol addiction to resources to achieving sobriety. Call the alcohol hotline Mondays to Fridays between 8:30 pm and 5:00 pm. Calls are toll-free and confidential. 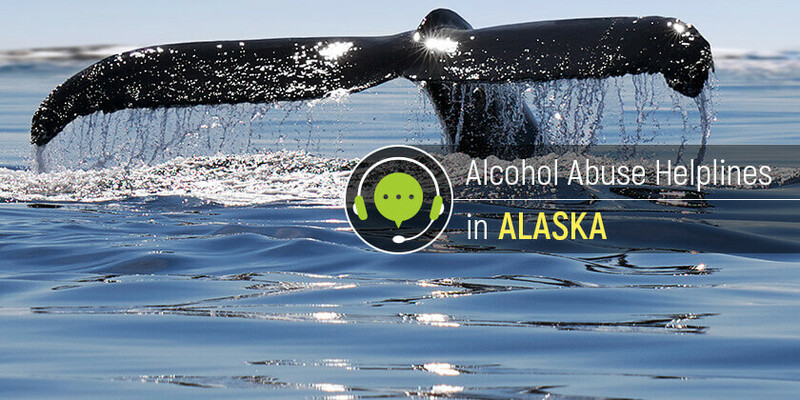 National Drug Helpline provides round-the-clock information and addiction treatment services for people with alcohol drinking problems in Alaska. The residents of the state can get help with their addiction as well as a confidential advice on the substance dependence in their family members or friends. Call the national abuse hotline 1-888-633-3239 to speak with a representative. The National Council on Alcohol and Drug Dependence Hopeline offers treatment counseling services to people seeking treatment for alcohol addiction and substance abuse disorders. The national abuse hotline also connects callers to the best programs nearby. Representatives provide nationwide coverage but connect callers to local alcohol treatment facilities and rehab centers. Call this national alcohol abuse hotline on 1-800-622-2255. Alaska residents wishing to detox from alcohol addiction can get quick access to resources, information, and referrals to treatment facilities free. Dial any of the alcohol abuse hotlines above to get started.